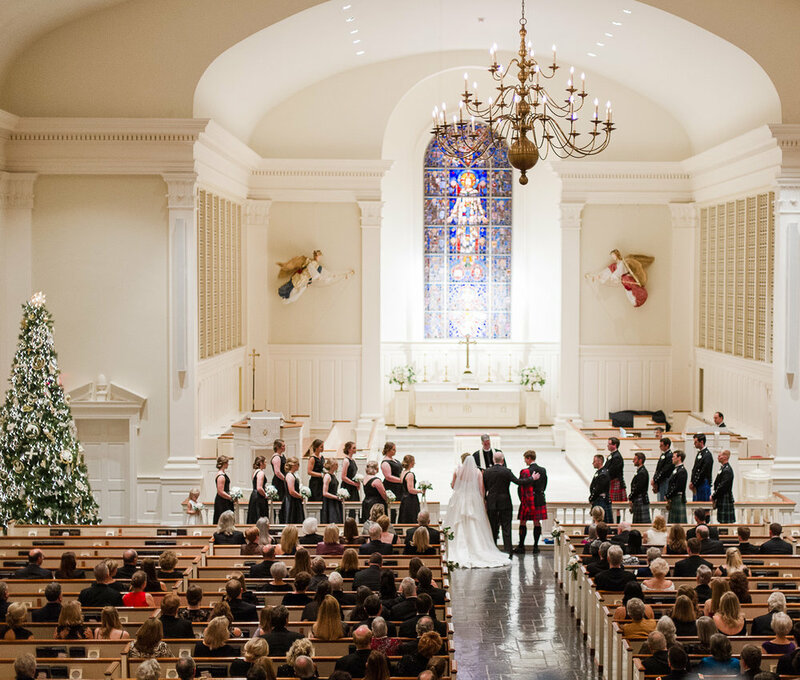 With a chill still in the air we're taking a look back at this winter wedding last month. 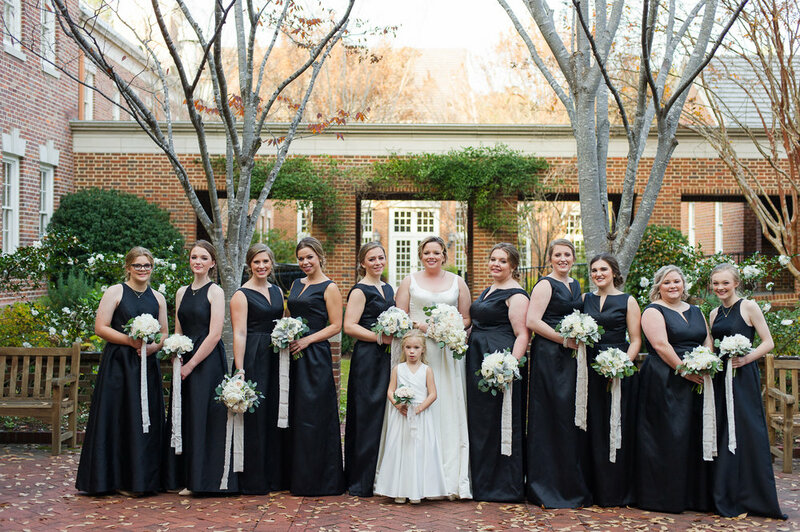 Thanks Bonnie Grace for letting Mariée Ami be a part of your special day! 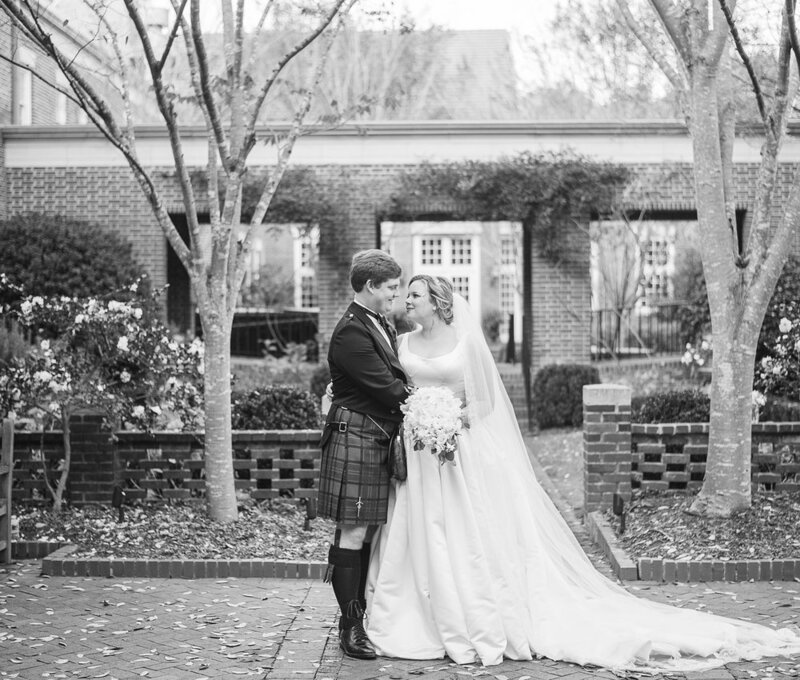 A few words from the bride about her classic winter wedding... Please tell us a little about your story / how you meet / etc. We met at a fraternity party in Auburn in the spring of our freshman year and started dating that next fall. I actually rejected his request to DTR and be “boyfriend and girlfriend” THREE times! Thankfully the engagement was easier! 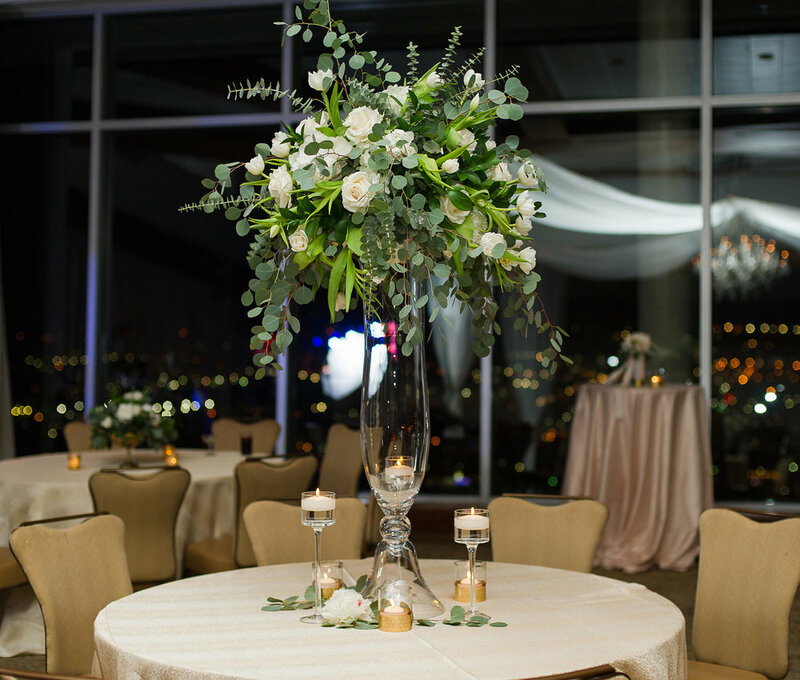 What was your vision for your wedding? Favorite detail? 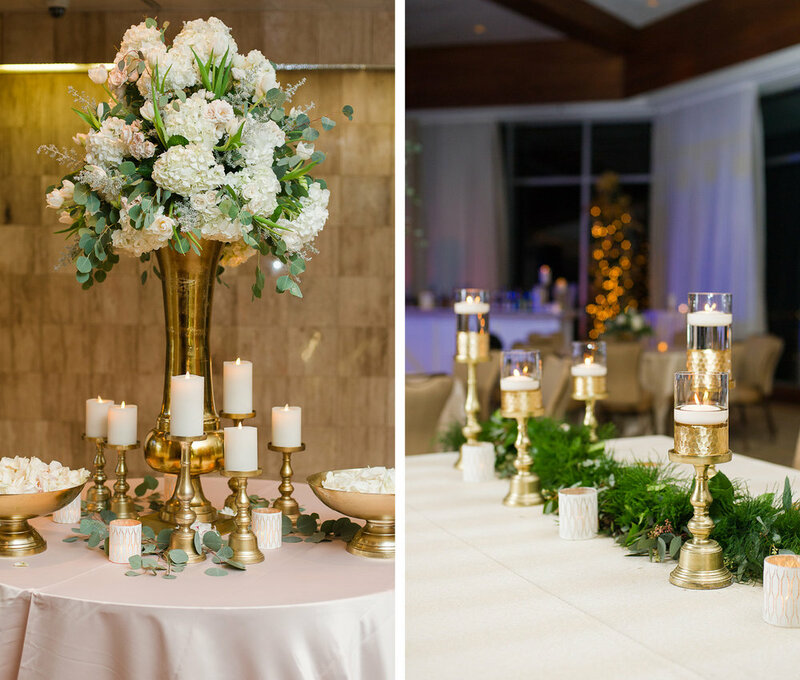 I wanted a classic, timeless look with gold, black, and ivory accented with fresh greenery. 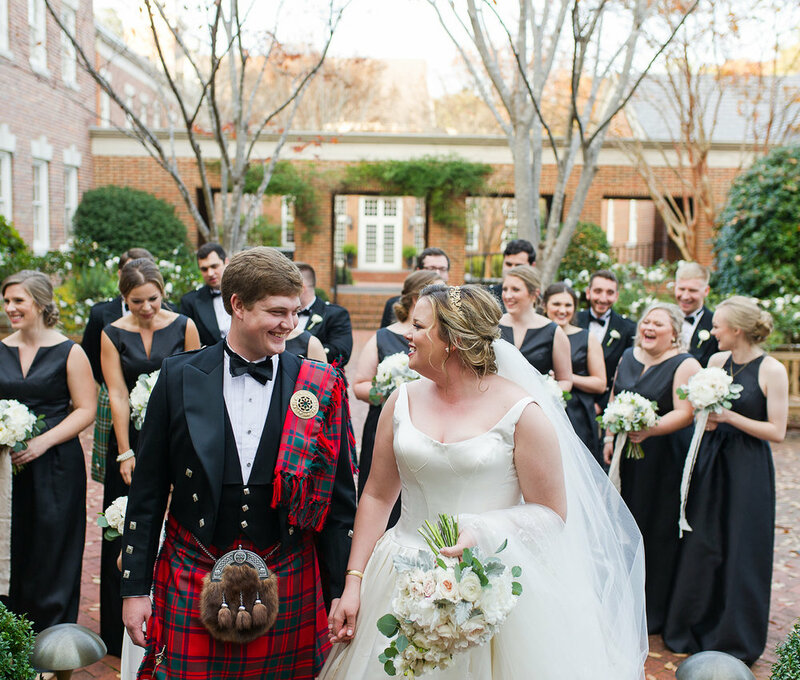 We both have Scottish heritages so incorporating that was important to us as we planned the details. 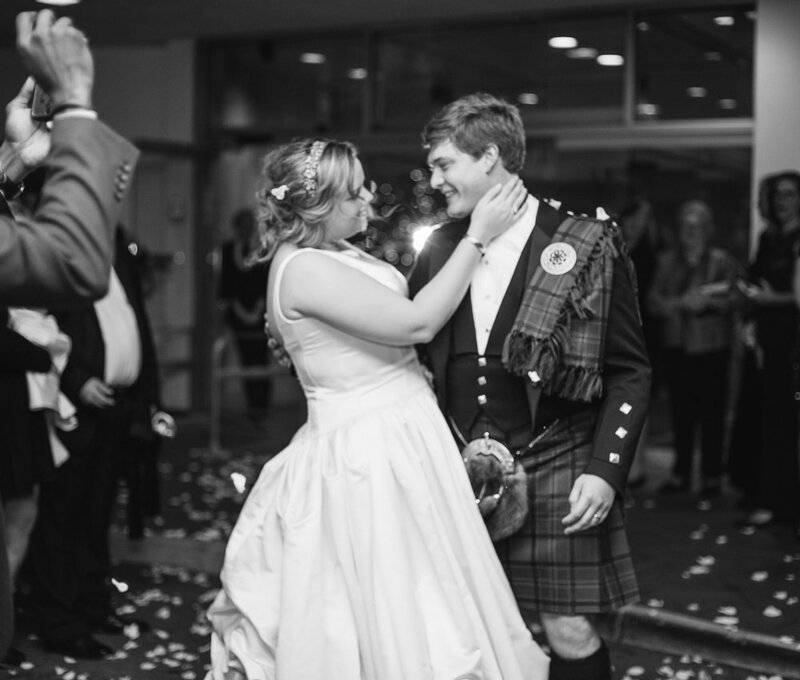 We had heather at the rehearsal dinner, and on the wedding day, tartan and thistles wherever possible. 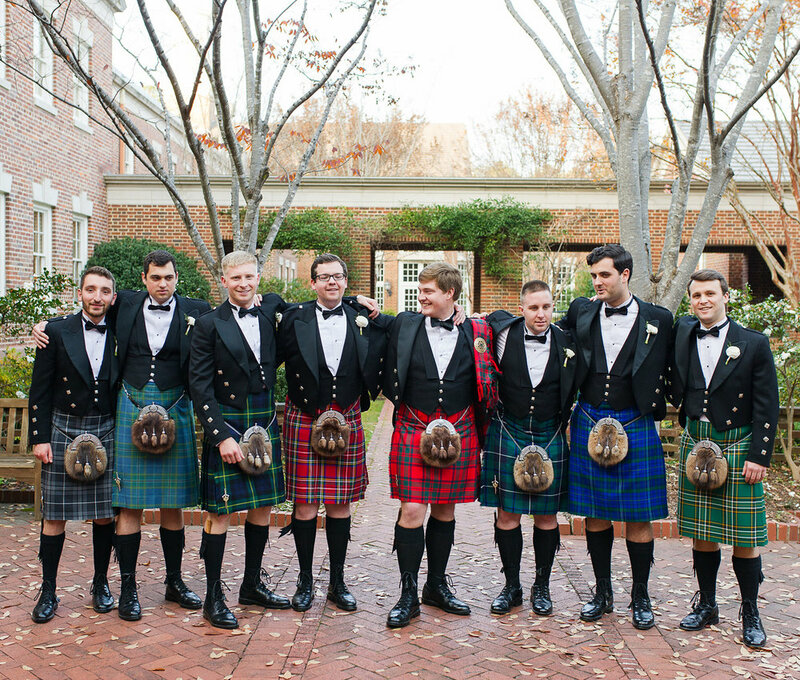 And of course the boys wore kilts. 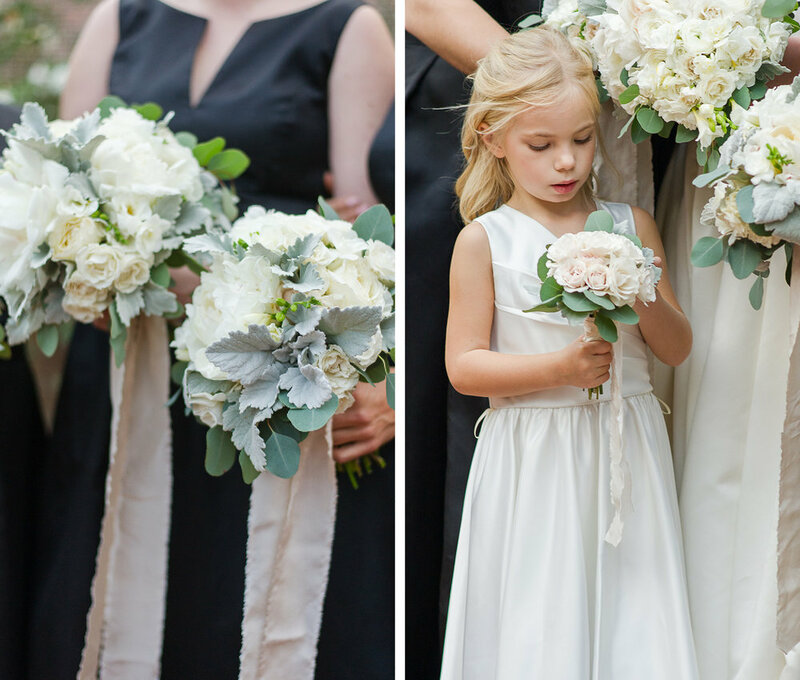 There were several details of the day that were favorites. 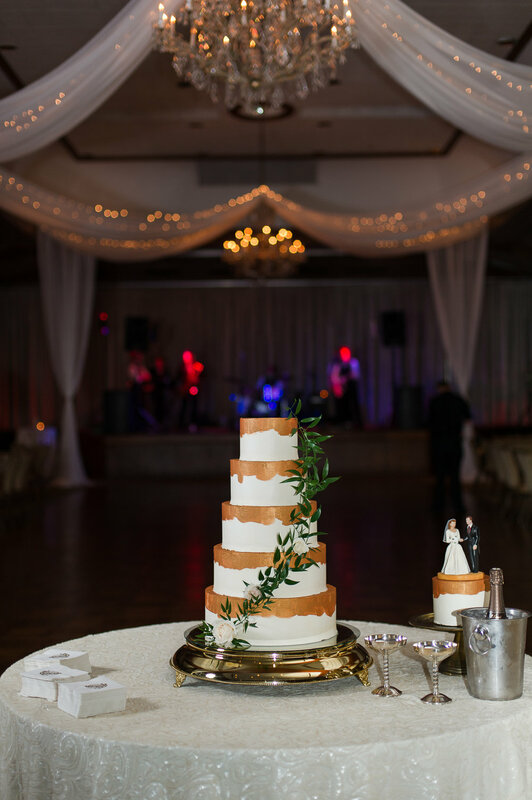 The cake topper has been in our family for several generations and each bride paints the couple to resemble the real life bride and groom. I had my shoes made to match Tucker's tartan (McIntosh) and also created the golden thistle head piece I wore. What was your favorite part of the planning? My favorite part of planning was the monthly memos! I honestly miss them!